Come into the back alleys and streets of Chicago for this psychological thriller from debut author, Terry John Malik. I love a story that's also told through the serial killer's mind! 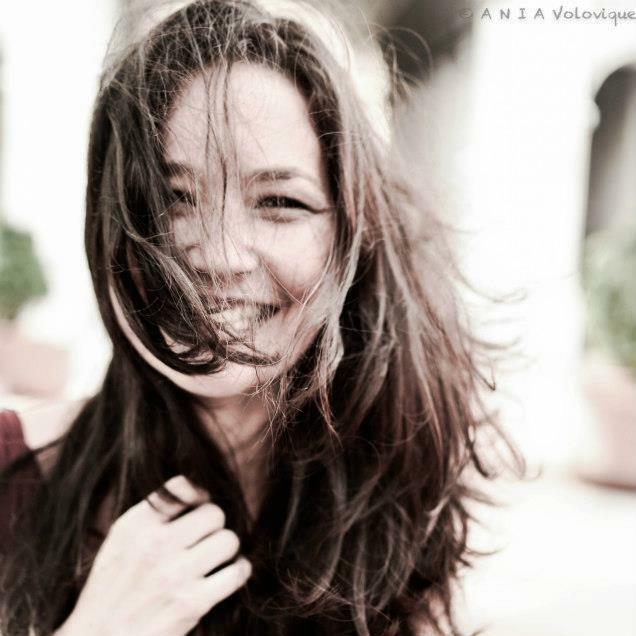 Gold Medal Winner of The Independent Book Publishers Association Benjamin Franklin Writing Competition, Popular Fiction category! Honored as FINALIST for 'Best General Fiction' by the Great Midwest Book Festival! One of Three Finalists for the 2017 Annual Midwest Book Awards! 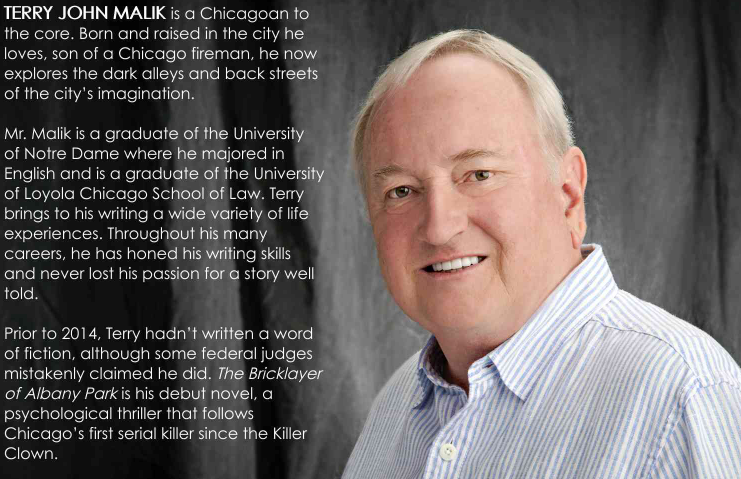 Terry John Malik’s debut novel, The Bricklayer of Albany Park is a twisting, psychological thriller set in the back alleys and streets of Chicago. It is told through the eyes of both a detective and the serial killer he is pursing. Early critics said the story is "spellbound" and "readers will be on the edge of their seats." 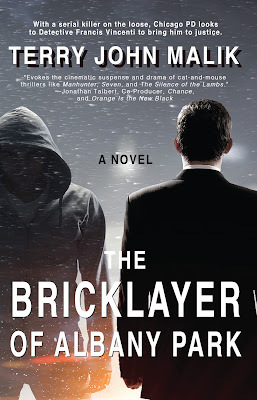 The Bricklayer of Albany Park features Detective Francis "Frank" Vincenti. Frank was a troubled young man in need of direction when he enrolled in a college class on criminal justice taught by Thomas Aquinas Foster, a former Chicago PD. Foster mentors Frank who later establishes himself as a police detective with a reputation for getting inside a killer's mind. After years of successful arrests, Vicenti comes up against his match, the notorious ‘Bricklayer,’ a serial killer who mutilates his victims and leaves them to be discovered in public spaces. Foster serves as a sounding board during the investigation, but also plays with Frank's mind, adding further intrigue to the story. The Bricklayer of Albany is an unforgettable debut with a jaw-dropping conclusion.